Fundamentally concerned with place and our ability to understand human relationships with environment over time, Historical Ge­ographic Information Systems (HGIS) as a tool and a subject has direct bearing for the study of contemporary environmental issues and realities. To date, HGIS projects in Canada are few and publi­cations that discuss these projects directly even fewer. 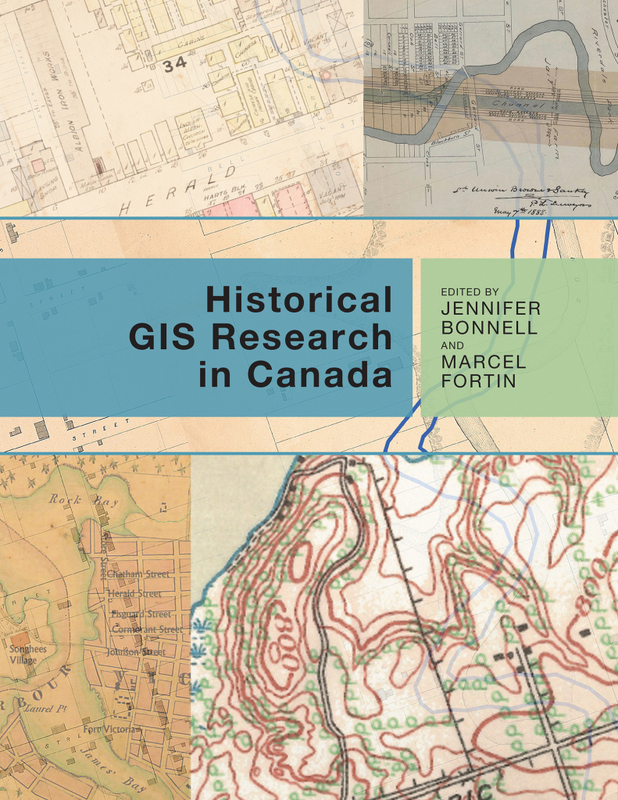 This book brings together case studies of HGIS projects in historical geogra­phy, social and cultural history, and environmental history from Canada’s diverse regions. Projects include religion and ethnicity, migration, indigenous land practices, rebuilding a nineteenth-cen­tury neighborhood, and working with Google Earth. Contributors: Colleen Beard, Stephen Bocking, Jim Clifford, Joanna Dean, François Dufaux, Patrick A. Dunae, Jason Gilliland, William M. Glen, Megan Harvey, Matthew G. Hatvany, Sally Hermansen, Andrew Hinson, Don Lafreniere, John S. Lutz, Joshua D. MacFadyen, Daniel Macfarlane, Jennifer Marvin, Cameron Metcalf, Byron Moldofsky, Sherry Olson, Jon Pasher, Daniel Rueck, R.W. Sandwell, Henry Yu, and Barbara Znamirowski.